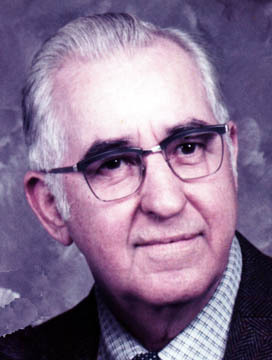 December 17, 1990: Albert L. Genetti, Stonecroft Manor, R.R. 1 Drums, died Saturday afternoon at his home. Born in Weston, he was a son of the late Raffaele and Lucia (Zambotti) Genetti. He was employed for 35 years by the Jeddo-Highland Coal Co. and before retiring he was employed by the state as a revenue agent at the White Haven State School and Hospital. Genetti was a member of Good Shepherd R.C. Church, Drums; the Drums Garden Club; the Butler Township Fire Co.; the American Tyrolean Club; Tirolesi Alpini, Hazleton, and the Pennsylvania Association of Retired State Employees. He also was a member of the Drums Lions Club and served as a past-president of the club and deputy district governor and zone chairman. Preceding him in death, in addition to his parents, were his wife, the former Vivian Kummerer, who died on July 17, 1990; a brother, Silvio Genetti, and sisters, Anna Nenstiel, Leona Hayden and Elizabeth Smith. Surviving are sons, Ralph of Copley, Ohio, and Lawrence, Philadelphia, PA; a sister, Mrs. Mary Hudock, Garfield, NJ and five grandchildren and several nieces and nephews. The funeral will be held Tuesday at 9:30 am from the Hilary J. Bonin Funeral Home, 99 W. Green St., West Hazleton. A Mass of Christian Burial will be celebrated in Good Shepherd R.C. Church, Drums, at 10 am followed by interment in Calvary Cemetery, Drums.